PCAAE was visited on August 7, 2018 at its secretariat headquarters by the GIS Group Global Co., Ltd.(GIS Group). Founded in 1991, GIS Group is an architect of innovative meeting services that includes strategic meeting management, congress organization, destination management services, and corporate meeting and event management, complete with audio visual technologies and language services. 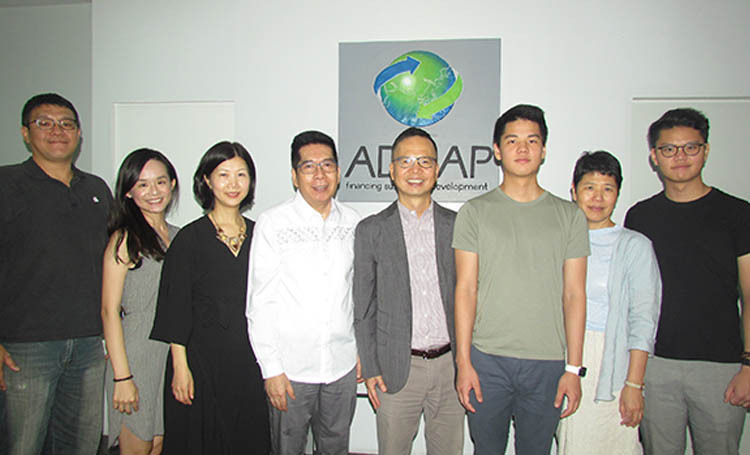 GIS Groups’ Mr. Jason Yeh, CEO, Ms. Amber Chen, Assistant Vice President, and Ms. Chichi Chen, Executive Secretary met with PCAAE officers, Octavio B. Peralta and Ma. Sandra I. Lim on the holding of international conferences in the Philippines. GIS Group’s https://www.gisgroup.com/index.php/en/ timely and accurate deliverables are backed by its over 20 years of experience, its creative and experienced professionals, and its passion for delivering what is best for the clients.